Pakistan has completed the disappointing series against Australia recently in which Pakistan lost all 5 ODI matches against Australia and the kangaroos have completed the white wash at UAE against Pakistan. Now PCB has focused on the ICC Cricket world cup 2019. Pakistani Squad for ICC World Cup 2019 With Recent Form. PCB has to announce the final squad of Pakistani cricket team to play the coming ICC Cricket world cup 2019 on 14 April 2019. Ahmed Shahzad, Muhammad Husnain and Muhammad Hafeez are waiting for the final selection of the national cricket team. The final selection of the national team for coming world cup will be made on the basis of their present form. Sarfaraz Ahmed is leading Pakistani wicket keeper batsman, who is also appointed as captain of the national team. The players of the national team will have to pass the fitness test and they will be selected on the basis of their fitness. Sarfaraz Ahmed has played total 6 ODI matches and he scored 126 runs with the average of 31.50 runs and has the highest runs of 64. During the ODI series against Australia, Muhammad Rizwan has shown wonderful performance as he made two centuries in 5 ODIs and he became the important players in the eyes of the selection committee. He played 7 ODI matches and made 245 runs with the average of 49.00 and the highest individual total is 115 runs. Fakhar Zaman is the right choice to open the inning of the team. He has aggressive batting style and he led the national team to win the ICC Champions Trophy against India. The ICC World cup 2019 is being played in England and he became the aggressive opening batsman, who can lead the national team to the victory stand quite easily. He played 8 ODI matches and scored 321 runs with the average of 40.12 and his highest total is 88 runs. Imam ul Haq has shown brilliant performance in the recent ODI matches and he impressed his selectors and also the fans. He became second Pakistan batsman, who completed his fastest 1000 runs in ODIs. He also contributed in the victory and performance of his team, Peshawar Zalmi in PSL 4 and his team reached to the final of the mega event. He played 10 ODI matches and scored 384 runs with the average of 42.66 runs and the highest score of Imam is 101 runs. The most talented player, Abid Ali has completed his first century in his debut one day international match against Australia in UAE and he scored 112 runs. He has proved his selection right and he played well in his debut ODI and became the back-up option of Imam ul Haq and Fakhar Zaman. He has enough experience to play the domestic matches and he has justified his selection for coming world cup. He played only 2 ODIs matches, in which he scored 112 runs with the average of 56 runs. Babar Azam has become the main batsman of Pakistani national team. He has enjoyed great success in the recent matches. His recent performance was really tremendous and he is compared to Virat Kohli of India and Joe Roots of England. He is truly considered as backbone of Pakistani batting lineup. He played 8 matches, in which he scored 333 runs with the average of 47.52 runs. His highest scored in these matches remained 92 runs. Shoaib Malik is most experienced and talented player of Pakistani national team. this most experienced player is going to play his last world cup and after this mega event, he will say goodbye to the international cricket. He is the experienced batsman, fielder and bowler and he has enough experience to play all sorts of wickets. He played 11 ODIs recently, in which he scored 255 runs with the average of 25.50 and his highest score is 60 runs. Although Haris Sohail was suffered from some injuries in recent matches, but it is big choice for the national team to be picked up for the coming ICC Cricket world cup 2019, which will be played in England. He showed his composure and fitness in the series and he made his two centuries. He played 5 ODI matches recently, in which he scored 291 runs with the average of 72.75 runs and the highest score is 130 runs. In the bowling section, he took one wicket as he is the casual slow left arm bowler. Asif Ali is the talented batsman, who has the great ability of finishing the matches. He has great potential to finish the match in masterly style. He was the part of the T20 team and he was not test enough to play the ODI matches and he played only one ODI match, in which he could make only 9 runs. It is hoped if he is given the chance to play for Pakistan in the ODI, he will not disappoint the selectors to make decision of his selection in national team. Faheem Ashraf has shown wonderful performance with his bat and ball and he is selected in the national team to become part of world cup squad. In the English condition, his seaming bowling can be beneficial and ball can swing more. In batting, he could not show impressive performance and he made on 47 runs in 6 matches and grabbed only one wicket. He played well in PSL 4 and his performance remained satisfactory. 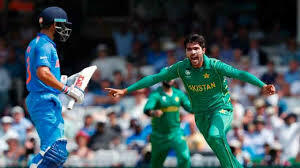 The performance of Shadab Khan is growing with each game and he managed to get the permanent spot in Pakistani cricket team. He is the only leg spinner in the team and he has shown his tremendous performance and contributed in the victory of Pakistani team many times. He played 8 ODIs and he managed to get only 64 runs and he took 10 wickets with bowling average of 31.60. Playing aggressively and make quick scores in the death overs is the best trait of Imad Waseem. The average of Imad Waseem is 230.00 in the 41-50 overs as he scored 230 runs on only 156 deliveries, which shows that he is the good finisher. He also performed well in the bowling side and most of the time, he started the attack from Pakistan side and he became very effective. He played 11 matches and made 281 runs with the batting average of 93.66 runs. He also got 5 wickets and contributed in the success of the national team. Hassan Ali proved himself a good asset for Pakistan time and time again. He struggled in the ODI but he showed wonderful performance in the 4th edition of PSL. He showed his quick pace and he is very sharp in the field. He will become part of the ICC world cup 2019 squad and he will show his excellent performance in the coming world cup. He played 6 ODI matches and took 4 wickets with the bowling average of 56.75. Shaheen Afridi is young Pakistan pace bowler, who has proved himself very talented and aggressive fast bowler. He will get bounce and seam on the England pitches. He played 7 ODI matches and he grabbed 15 wickets with BBI of 4/38. He has very impressive bowling average of 16.06 and he has great talent to bowl well. Junaid Khan is the aggressive pacer of Pakistani team and he performed well, when he was called in the national team. He has enough experience to play well in the English conditions. He has played in the domestic leagues in England and he has enough experience to play on the fast wickets. He played 4 ODIs and grabbed 4 wickets with the bowling average of 58.50 with the best bowling of 73/3. Wahab Riaz is the first Pakistan player, who grabbed 50 wickets in PSL. He is the main bowler of Pakistan, who showed wonderful performance in the domestic league. He was dropped from the national team but he improved tremendously and he is working hard to make impressive comeback.